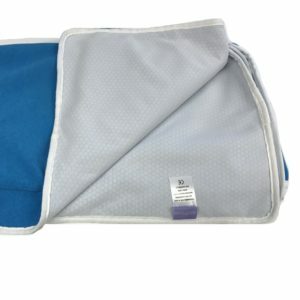 The body roll cushion can support the head, trunk and legs. With the child is side positioned their specific posture will show a tendency to either roll backwards or forward. 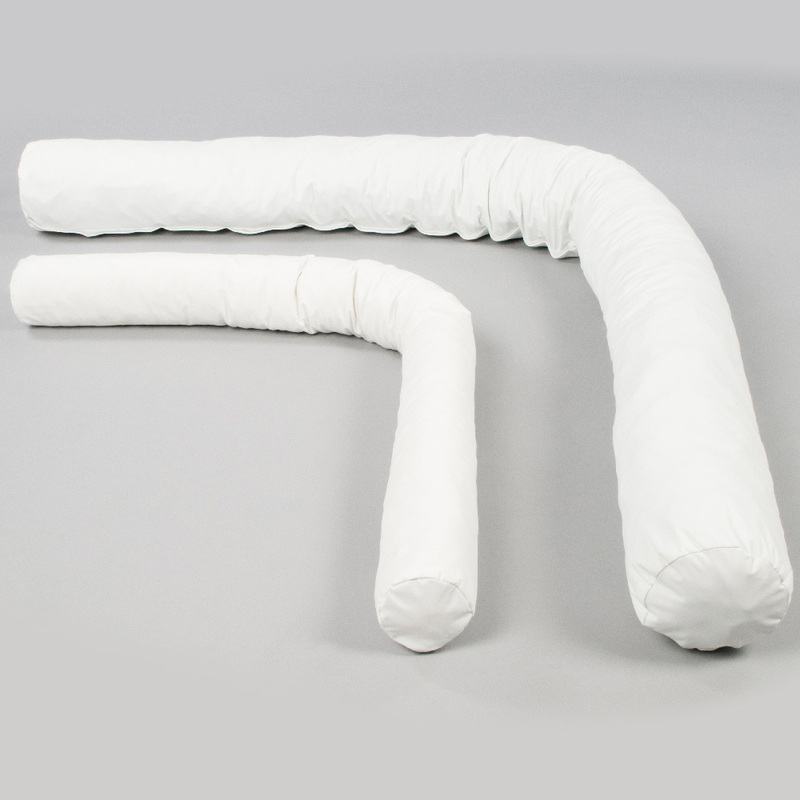 When the Body Roll cushion is used under the neck and between the legs at the groin it can stabilise the upper body. The usual placement is down the back where it is possible to open the posture to free the lower arm. 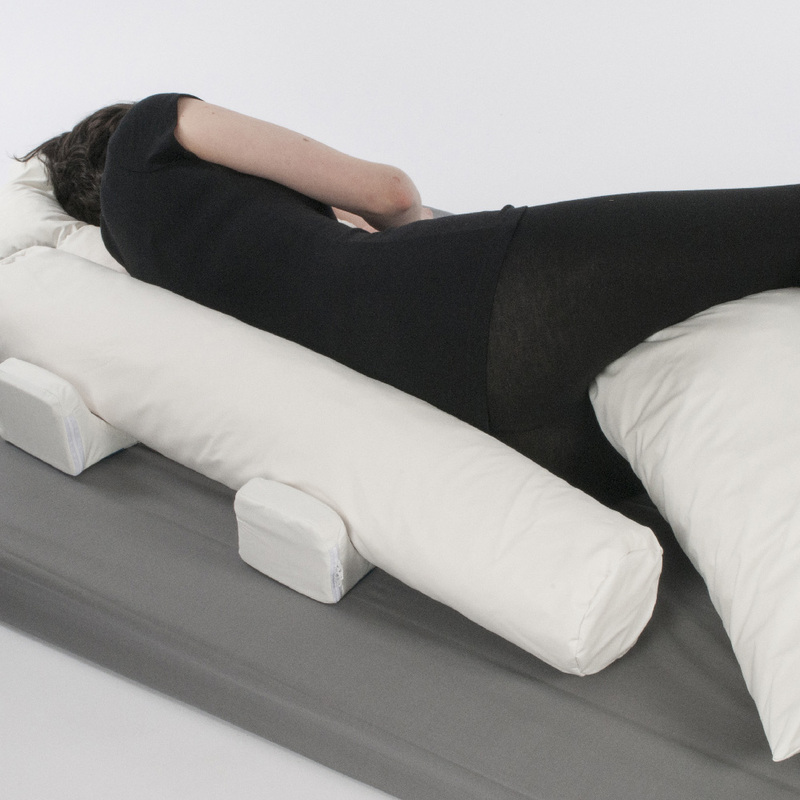 The Large Pillow is recommended to place between the legs. 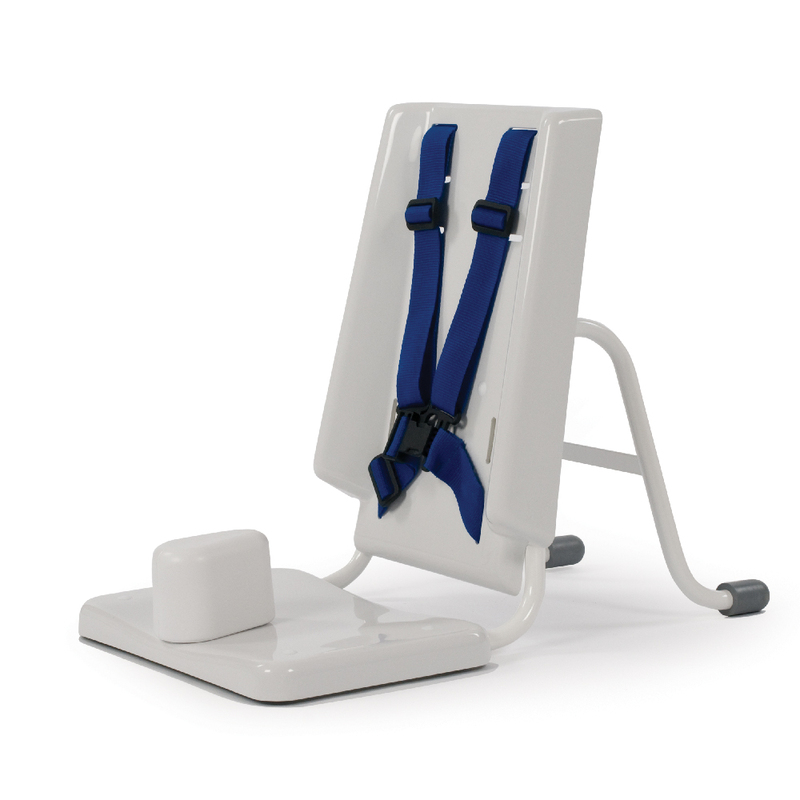 It can be used to support down the front for the recover position, offering a ‘stretch’ posture.